← History of the Cowboy Hat: Why do Cowboys Wear Hats? Aside from beautiful saris and magnificent gold jewellery one of the most internationally famous body adornments worn by Indian women is the red dot on the forehead, the bindi. Travelling in India you might notice that these forehead decorations are not unique to women. So why do Indians wear red dots and similar forehead decorations? By bindi I’m referring to that red dot seen most commonly decorating the foreheads of Indian women, or to be more precise by Hindu women. Because of the many dialects spoken throughout India, bindis are otherwise known by many other names including bottu, kumkum, pottu, sindoor, teep, tikli, tika, tilak, tilaka, and tilakam. The word “bindi” comes from the word “bindu” which means “drop” or “dot” in Sanskrit; an apt description of this spot of color. - Kumkum: This is a powder made from red turmeric. 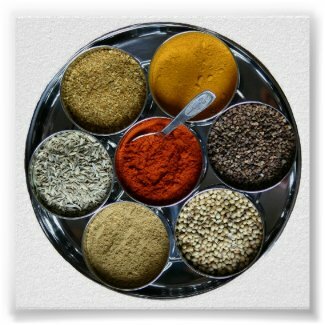 Turmeric is one of the most traditional substances used for bindi creation, and in the past was combined with lime and other herbal ingredients to make the base for the bindi paste. - Vermilion: This is a powder containing cinnabar which is a source of mercury sulphide, a dangerously toxic compound. Sometimes it contains lead tetroxide which has been shown to be carcinogenic for lab animals. Mercury and lead-filled vermilion is dangerous and should not be used. Sticker: A sticker made from paper or rexin is often used today because it is easier to apply than the traditional powder. Any natural materials at hand: In ancient times leaves, seeds, fruit and even soot were used to create bindis. Leafy bindis were called Patrachhedya, Patralekha, Patrabhanga, or Patramanjari but are not really used today. 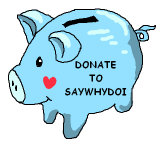 Now we understand the “what” but we don’t yet have the “why”. Why are these Indian forehead spots worn in the first place? 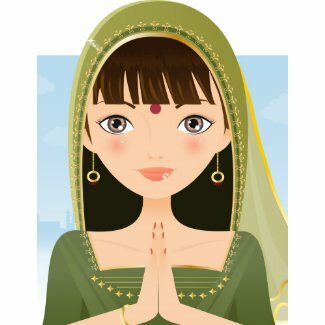 Why do Indians wear bindis? What is the bindi meaning? Although the bindi is worn on an everyday basis by many women, it is also worn in the Hindu marriage ceremony. After marriage many women choose to wear a red bindi which has led to the misconception that it is only married Hindu women who wear one. In fact this isn’t the case and although perhaps married women wear them most often, the bindi can be worn by men and women, single or not. Why the association of wearing a bindi with marriage? One theory goes back to around 1500BCE, at the time when a light-skinned Indo-European race called the Aryans, are said to have conquered India. One of the alleged Aryan wedding traditions was for the marriage to be sealed with blood: The groom would apply a drop of his own blood onto his new bride’s forehead as part of the ceremony. The theory is that over time this tradition was modified to apply red powder instead of blood. This ancient marriage-association of the red spot may explain the tradition of there being a high prevalence of married women wearing a red spot on their forehead. Around 3000BC, the seers of ancient India wrote the scriptures known as the Vedas, and in these they described the existence of areas of concentrated energy within the energy field of the human body. These energy centers were named “chakras”. There are seven main chakras that run along the center of the body, and the sixth one (called the “brow chakra”, ajna, or “third eye chakra”) occurs exactly where the bindi is placed. Access to inner wisdom: There is a spiritual belief that we all have inner wisdom within us (although we do not always access it unfortunately because we are often distracted by the chattering mind). This inner wisdom is sometimes referred to as the “inner Guru”. The brow chakra is thought to be the seat of your concealed wisdom and the command center of the inner Guru. 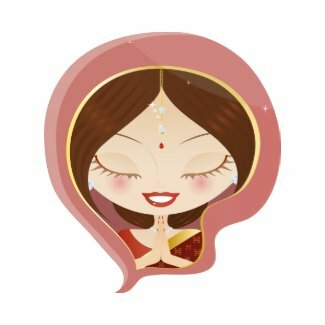 Placing the bindi here aims to help you access the inner Guru, to facilitate your ability to see the world with wiser eyes and interpret the things you see in a truthful, unbiased manner. Given that it enables this spiritually heightened way of seeing the world through wisdom and truth, it becomes clear why this chakra is sometimes called the “third eye”. Because the “inner Guru” is so wise that it can find solutions to everything, strengthening this chakra with a bindi is also thought to protect against tricky situations and bad luck. Helps you overcome the ego: The “ego” is our “false self”. By this I mean it is what our mind thinks we are, rather than who we really are. The mind gives us all sorts of labels depending on our jobs, our familial role (e.g. daughter, mother, aunt etc. ), our personality (introverted/ extroverted, perfectionistic, jealous etc.) and other labels that are not relevant to who our true selves are deep inside. The inner Guru helps you to avoid getting caught up in all these false labels and hold on to your true self. - Helps married women let go of their attachments to their old life: This may be another reason why the bindi is worn in the marriage ceremony and thereafter by married women. 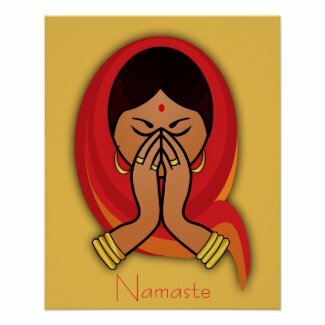 In accordance with ancient tradition, when a Hindu woman gets married, she gives up her name and her old living arrangements when she moves into her new husband’s house. It is human nature (or rather the ego’s nature) to attach your identity to things like names and houses, so strengthening the brow chakra with a bindi can help overcome such attachments to ease the transition. - Removing ego for important people: Sometimes people in highly respected places, like priests, royalty and important politicians may wear a bindi to remind themselves not to be carried away by the ego’s label of them as “important people”. - Helps you meditate: The inner Guru’s ability to help quieten the ego also helps silence unnecessary, unhelpful thoughts and emotions, or the “chattering mind”. This comes in useful during spiritual practices and meditation. - Helps promote peace of mind: Because the bindi aims to quieten the ego with its often critical thoughts and negative emotions, it helps promote inner peace and aids in concentration in general, on any task at hand. Access to spiritual planes: The chakras that are higher up in the body are said to be more closely connected with subtle energy where deities and other powerful spiritual powers dwell. Along with the other reasons described, this is another one of the reasons you’ll often see Hindu priests wearing a bindi-like mark on their forehead. Marking this spot is also common for both men and women during many religious times in Hinduism including during ritual worship (called Puja). Superstitious folk believe that the third eye’s spiritual nature means that a bindi in this location can protect one from negative energies. 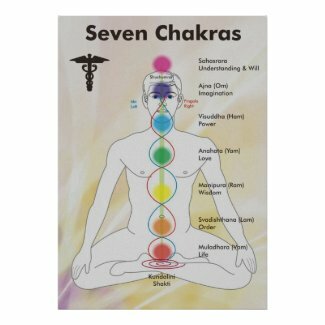 Access to kundalini energy: According to Vedic scriptures, each chakra center contains special energy called kundalini energy. When a chakra is open it can leak out energy. The bindi is said to protect against energy loss and strengthen the energy in the third eye and of the body in general. One theory is that the bindi was used to help distinguish between different castes. The Indian caste system is a social stratigication that generally categorizes people by their ancestral’s professions, denoting if they came from a line of scholars, warriors, farmers, artisans and so on. Each caste had different degrees of power and prestige and the caste to which they were born into was believed to give a rough idea of the person’s social standing, financial status, and even their intellectual ability. Different colors and shapes of bindi may have been attributed to certain castes; a useful visual tool for a culture that placed great importance on mixing with the “right” people in society. There was a time when if a man came in contact with the lowest group in the social hierarchy (“the untouchables” who didn’t even have a caste) he’d quickly go to clean himself thoroughly! Castes aside, facial markings were also used to identify different religious subsections. To this day bindi-like forehead smears and facial markings are used by followers of different subsects of Hinduism. For example followers of Lord Vishnu have one mark whilst followers of Lord Shiva, Devi Shakti and Goddess Shakti have a different marking. Whilst it is likely that the bindi has more meaning than being a body ornament alone, for some people today it serves the purpose of beautification more than anything else. This is especially the case when worn by Westerners who have not been educated in the Vedic scriptures. Why are the bindis red? Passion – In Hindu philosophy of religion there is a term, “prakriti” which means “nature”, and it is believed that nature is made up of three main components: goodness (“sattva”), passion (“rajas”), and darkness (“tamas”). Each of these has as color: White for goodness, red for passion and black for darkness. Being the color of passion, red is associated with love and fertility. If the Aryan origins story has some truth to it, the bindi’s color may simply be because it was the closest color to the original blood spot that was placed on the forehead in Aryan wedding ceremonies. Another story is that there was an ancient practice of making blood sacrifices to the Gods, but that over time this custom transformed into one of offering red gifts and wearing red, which may explain why red is the most often seen color of the bindi. Although red is the most commonly seen color for bindi, there are other bindi colors available with different meanings. Black bindi: The second most prevalent bindi color is black. Unmarried women and widows are most likely to be seen adorned with this. Once a wife is widowed, it is culturally unacceptable for her to wear a red bindi anymore and instead she can only wear a black one. Whatever color bindi that matches their outfit! In modern times bindis have become more a fashion accessory than a strictly religious piece. Decorative bindis can be found in an abundance of colors and shapes to suit any mood and outfit. - Why do people get married? - Why do people go on honeymoons? - Why do Jews Eat Challah? - Why do Christians celebrate Christmas on December 25th? This entry was posted in Culture, Hinduism, Religion and tagged Culture, Hinduism, Religion. Bookmark the permalink. 6 Responses to Bindis: Why do Indians wear a red dot on their forehead? Thanks for using the time and effort to write something so interesting. 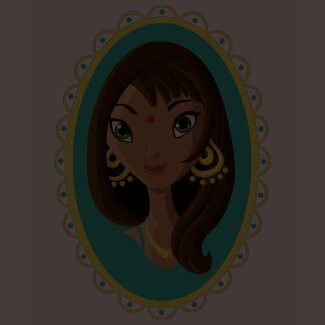 I hadn’t realized how curious I was about the question of bindis until I stumbled upon your article! this has nothing to do with a red dot on people forhead!!!!!!!!!!!!!!!!!!!!!!!!!!!!!!!!!!!!!!!!!!!!!!!!!!!!!!!!!!!!!!!!!!!!!!!!!!!!!!!!!!!!! Truly the flame at the brow centre exists. It is an exquisite experience to receive this transmission from an enlightened being…I’ve experienced it 15 times. I’ve never been able to create the experience myself, however I have projected my consciousness through this Mandala centre twice. Once to the inner universe through a series of portals, mandala colours, white and dark and once through a multi coloured mandala to a past life. I first found this portal long before I met a guru. Yoga book I read and a yoga person mentioned this flame years before. The experience has many facets all lead to awakening to spiritual, divine, love energy. The Hindu religion calls it Shakti. Sakti Chiti Chitsakti or variations. Chiti is the play of consciousness. Shakti is the Goddess energy to Shiva. I’m still learning about the experience the theory etc… The experience is the most important. We have lots of words and religious practices for divine mergence. It’s part of our full potential as human beings, we don’t all believe this so we fill the void with materialism, drugs, sugar or distractions endlessly. But the Bindi ultimately represents the flame within that appears in a subtle realm that lights the way to the inner universe where we all aim to finally reside with blessing of God whatever that truly is is linked most definitely to the Bindi symbol. Wow i had no idea this means so much in my culture. thanks for sharing!! According to my husband, it depends on the state and/or “tribe” you fall into. As majority of Hindus in India are actually wearing them for decoration in recent times, those in the agricultural areas use the bindi to represent marriage and even wear the mark in the parting of the hair, as my mother-in-law does. Those who are single can wear different colors now, but married women still typically wear red. Most Hindus follow their Brahma and don’t actually read to learn about their religious customs, like Jews, Christians, or Muslims. It is passed down through cultural traditions and through spiritual leaders. But my husband’s family do also recognize that it helps to strengthen their connection to God and to channel inner wisdom from their chakra.